Animal control officers are used to hyperbole. Every giant monster is a simple snake or lizard or frog. Every wild dog out of control is someone’s escaped pet. However, panicky calls from a residential neighborhood in Riverside, California, concerning a giant Godzilla-like monster turned out to be pretty accurate. 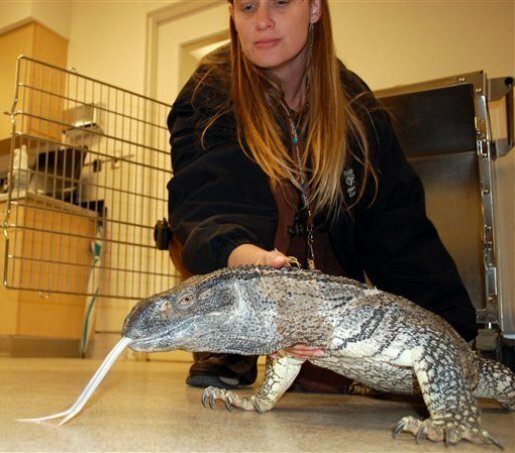 A five-foot-long black-throated monitor lizard was roaming around a condo complex, frightening the kids and eating the rodents. Given that it’s a giant carnivorous lizard, I imagine it sleeps anywhere it wants to.